Our expertise lies in clearly perceiving the business goals of our customers, choosing the most appropriate technology and efficiently designing and developing solutions that cater to the business needs identified. Whether you need a dynamic, database-driven website or a fully functioning e-commerce web site, we have the creative talent and technical expertise to accommodate your company’s web application development needs. 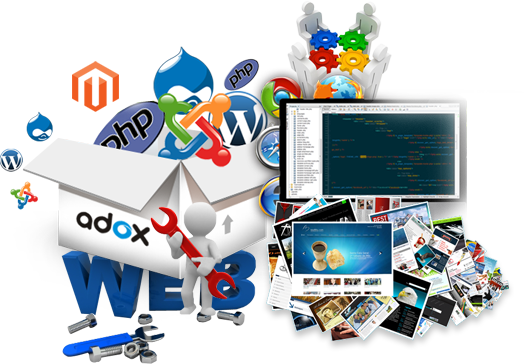 WebComBD builds custom web applications according to client specific requirements utilizing the advanced, cutting edge technologies that combine appealing design, rich functionality and robust management tools. We provide fully functional and highly usable web applications that match your business requirements and expectations exactly as you intended. Interactive eCommerce web sites with shopping cart. Powerful and easily configurable store management from a Web Browser. Utilize real-time payment processing or manual orders. Interactive portal with member sections or social networking websites. Facebook application development, RSS feeds aggregation. WebComBD ensures clients’ return on investment by attaining their business goals through designing, developing, integrating and supporting mission critical web applications and systems through the use of all the latest technologies and solutions available in the book.